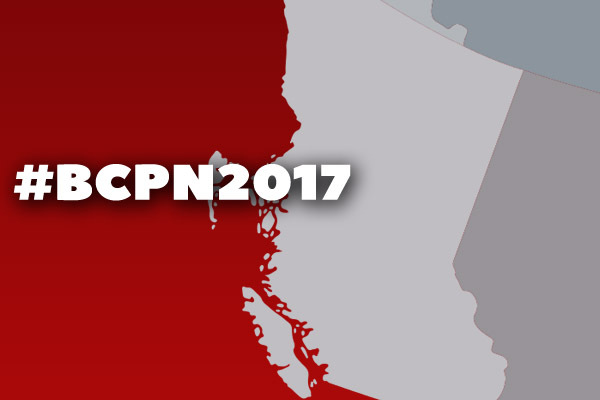 Followers of this Blog will appreciate what remarkable quality progress British Columbia wines have made over the years. Among the grape varieties showing most impressively is pinot noir. 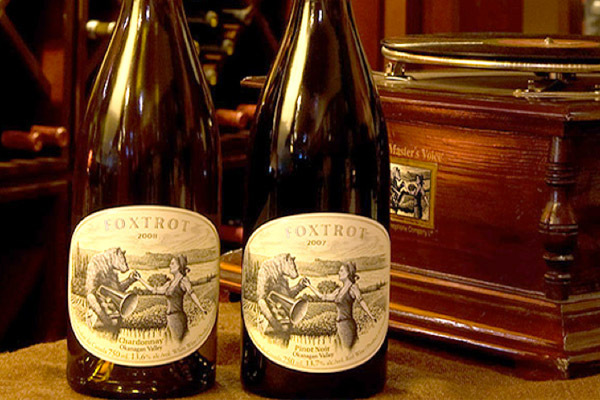 Leading that progression are several wineries focusing on that varietal including Averill Creek, Foxtrot, Howling Bluff, Meyer, Privato and many more – even 2016 Lake Breeze Pinot Noir Wine of the Year at the 2018 BC Lieutenant Governor’s Wine Awards. The pioneer winery (together with Quails’ Gate) for pinot noir has been Blue Mountain Vineyard and Cellars in Okanagan Falls with great foresight by Founder Ian Mavety & his wife Jane starting with their first commercial release back in 1971. The winery is now in the conscientious capable hands of the second generation with winemaker Matt (back from New Zealand in 1997) and Christie for open friendly marketing. 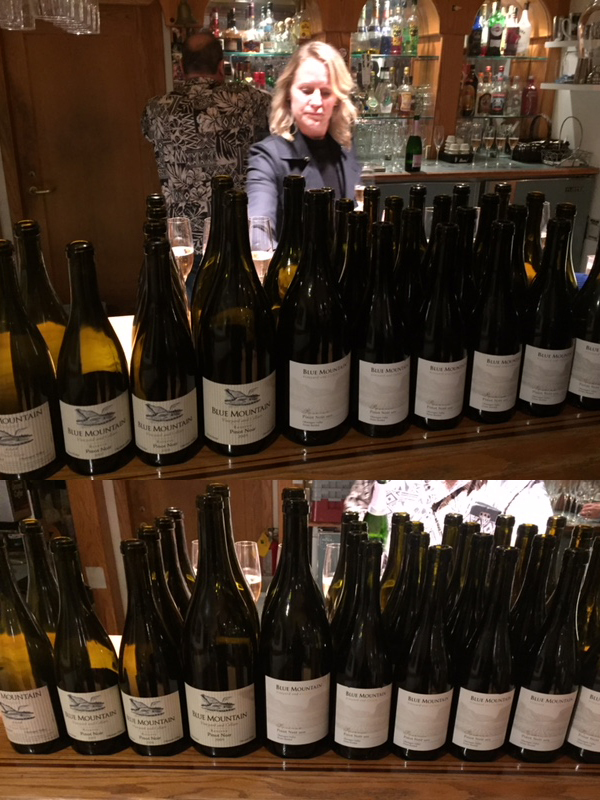 The wines have been highly thought of and collected locally for some time with the winery one of the first outsiders invited to the International Pinot Noir Celebration in Oregon. The 1994 regular and 2000 reserve are still lovely drinking but as the five clones of pinot noir vines mature the wines are showing more depth of flavour. Now have 89 acres planted (up from 50 in 2006) at around 400 metres with moderate weather in August usually around 20C in the day with cooler 5C at night. 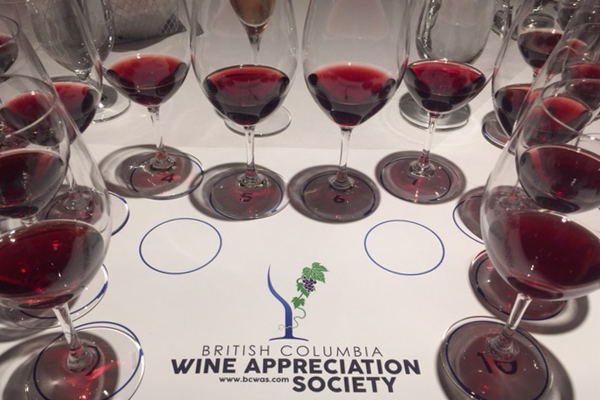 The BC Wine Appreciation Society (who are doing an excellent job in showcasing BC wines to their members) cleverly collected 10 vintages of the Reserve and served them as a vertical led by Christie Mavety on October 21, 2018. The Reserve is best lots and barrels showing structure and complexity of their total pinot noir production. Your scribe was impressed with the consistency of the wines and the delicacy they all showed. They vary in colour showing vintage differences but have a sense of place. They are not big fruit bombs but they show lovely subtlety and charm with good herbal notes. Approachable and definitely work as attractive pleasing food wines. The wines were well served cool in smaller white wine Riedel glasses which dampened somewhat the complex aromas that can be obtained better from a bigger glass. 2006: Lightest colour with a pale rim at their typical 13.5 alcohol is open strawberries in a softer seductive way for present drinking. More full cluster fermentation in this vintage than others. 2007: More fruit at same 13.5 gives a fuller richer impact with lovely herbal raspberry notes on an interesting plateau of enjoyment now. Underrated. 2008: Less alcohol at 13 but darkest of first four vintages and popular with the group. Like the depth of deep classy fruit and especially the balance. Looks young still and can develop further. Impresses. 2009: Magnum at 13.5 had paler rim but explosive true pinot noir maturing bouquet perfumes with complex charm and a long finish. Very pinot noir finesse styling is so attractive. Probably more forward in 750 ml format. 2010: Another magnum at 14 (the highest of these) from warm year for them with a dark look like 2008. Good pinot aromas & popular for the solid open bigger bodied impact but finishes with some spirit. Needs more finesse. Powerful one. 2011: Lowest alcohol with 2015 at 12.5 is bright red from the cooler year and admire the clean freshness with lovely elegance. The silky texture here captures the essence of pinot noir. Good one and no rush. 2012: Deeper look slightly beetroot rhubarb menthol elements. Young still but more herbal presently at 13.5. 2013: Difficult year of wasps & sour rot at 13.5 but result is admirable distinctive pinot noir with an Okanagan sage seasoning. Well done. 2014: Like a lot this structure and lively vibrancy from an excellent vintage. Again 13.5. Only gentle light pump over instead of punch down for less extraction at fermentation with cooler cellar delaying malolactic fermentation till the Spring. Believe their change to a longer 16 months in cask (only 10 for 2006-2013) starting with 2014 is a smart move. This fresh baby is textbook pinot noir with a lot of complex fruit and the best one to collect for cellaring. Outstanding potential. 2015: Bit hazy not as bright looking with lower alcohol 12.5 from a hot year. After dropping crop their earliest harvest ever starting August 13 (for sparkling) to retain best acidity. Lighter more delicate. Forwardly. 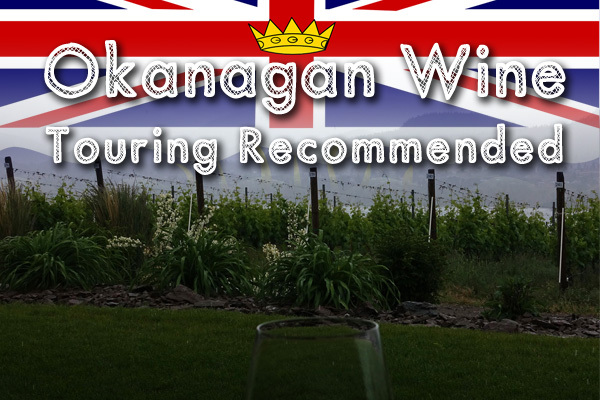 An impressive range of elegant and stylish Okanagan pinot noirs. Congrats to the whole Mavety family for their initiative and perseverance with this heartbreak grape in producing something really unique and admirable. Keep it going! Have you tried a Blue Mountain pinot noir? Recommend you do so. Have you tried a Blue Mountain pinot noir?